The Sun transits through Sagittarius from November 22 to December 21. People born under this Sign are prone to be fun-loving, casual and have a great craving for travel. As a matter of fact, they are frequently called the chief wanderers of the Zodiac. Moreover, they are always keen on understanding people better and getting to know more about various cultures. The Archers are adventurous people who will not avoid experimenting with new things. Get a FREE Birth Horoscope, or if you wish to know about your future prospects in detail, get the Birth Chart based personalised Detailed Life Predictions Report. 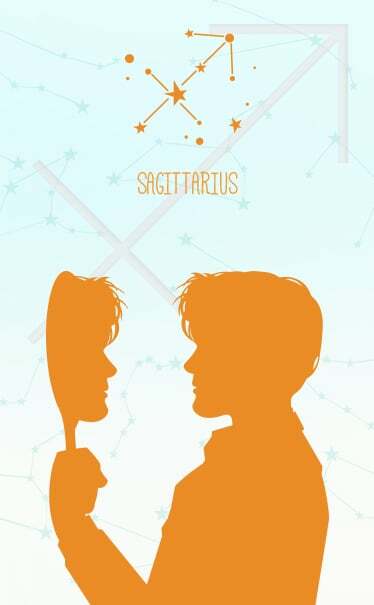 Sagittarius, candid as they are, in their attempt to know and see, they may end up asking/ saying unexpected things. Archers also exhibit a certain duality. Although, such keen investigators themselves, willing to go an extra mile to find, read, communicate, they themselves may resent the complex education system and formal training. They can be, fanatics yet atheists, and tactless yet serious! Subjects like philosophy, education, religion, mysticism, occult, medicine engross and attract Archers. 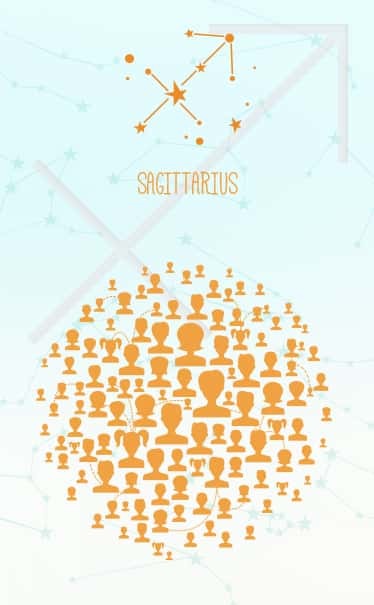 Sagittarius-born make good inventors or discovers. Self confident, sometimes to the degree of being arrogant, high spirited, they also make good advisers, teachers and social bees. Many Archers also opt to work in the fields related to media and arts, as these areas allow the free birds to work in their ways. Sagittarius adore their freedom, and restrictions of any sort may irritate and frustrate them. And thus, in relationships, they require (and even demand) their own space. In love, they are cheerful and giving. 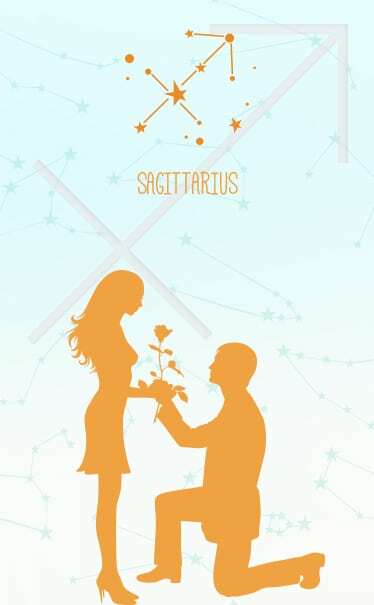 In fact, the Sagittarius are their happiest in a new relationship. However, as the relationship progresses, the restless Archers may start resenting the sense of confinement and responsibility. Yet, they know and appreciate the importance of such bonds, and shall rarely attempt to break it. 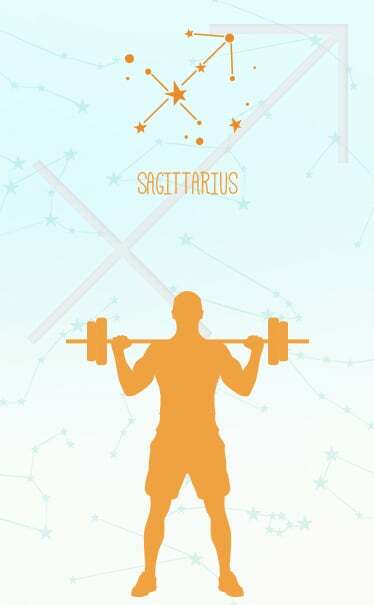 Men born under the Sign Sagittarius have a bright outlook on life even when they may be facing difficult situations. They want to explore new territories and love to keep increasing their knowledge. 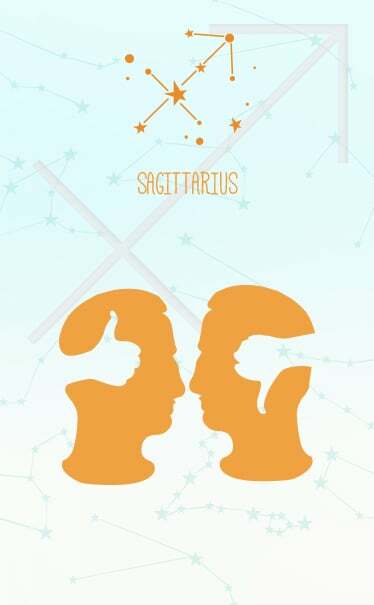 Read more to understand the Sagittarius men better. 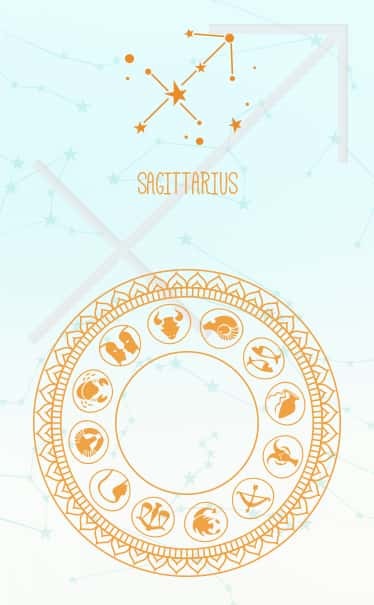 You might also like to read Birth Horoscope, which is absolutely FREE! The Sagittarius men like to travel because they are curious to know about different cultures, different people and their lifestyles. They also love to experience different things. They don’t jump to conclusions, a quality which endears them to people around them. 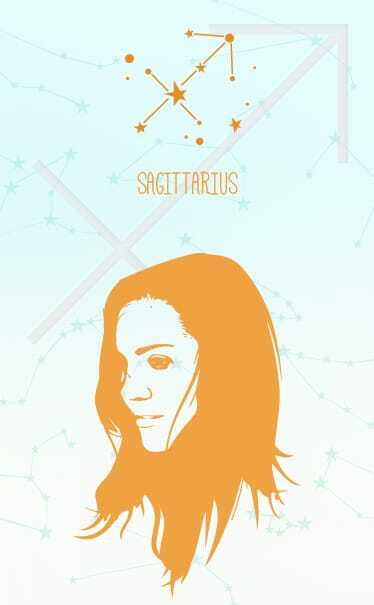 The women born under the Sign Sagittarius are truthful, idealistic, and have a great sense of humour. They wish to learn things from their own experience, instead of relying on second-hand opinions. This is why they like to meet different people, share experiences, and experiment with different things. 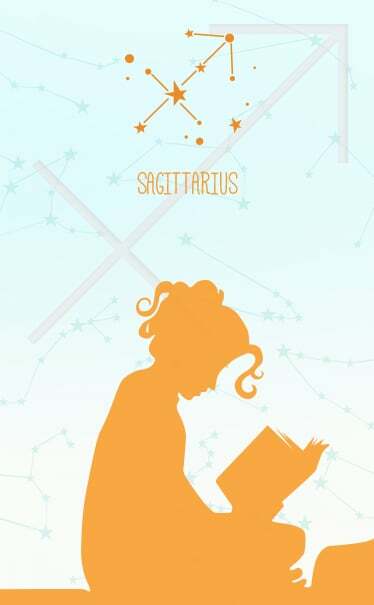 Read on to find out more about the Sagittarius women. Also, try the Birth Chart based personalised service Life Prediction – Overview. The women born under this Sign are very curious and have a philosophical bent of mind. They are capable of doing many things, are charming people, and enjoy life as it comes. For any specific aspect that you wish to know more about, right away Talk to an Astrologer! Women of this Sign are not very sensitive, but are broad-minded. When they are given feedback, they take it seriously and work on improving themselves. 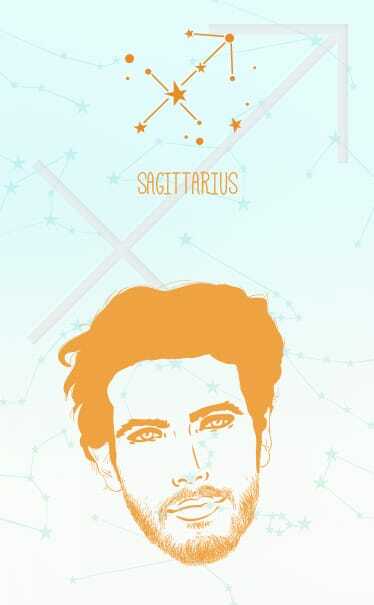 The Sagittarius-born are extroverts, enthusiastic and sometimes excessively frank. They are prone to talking too fast and too much, so sometimes it may become very difficult for others to keep pace with them. This frequently results in their statements and opinions being taken lightly by others. Their words can be as hurtful as they can be inspiring. They are far-sighted people who are curious, and have a true bent for spirituality. They attract others for their sense of humour and confidence. The Sagittarius natives love the outdoors, and hate it when they have to stay indoors. Honest, but sometimes tactless, these people love challenges. Although they think of themselves as adventurers, not intellectuals, they also enjoy learning new subjects and can do very well in academics. They are very loyal to their friends, and therefore very popular in their immediate circle. Many of them are lucky to have friends in high positions. Sometimes they can be insecure and also doubt the decisions and judgements of others. 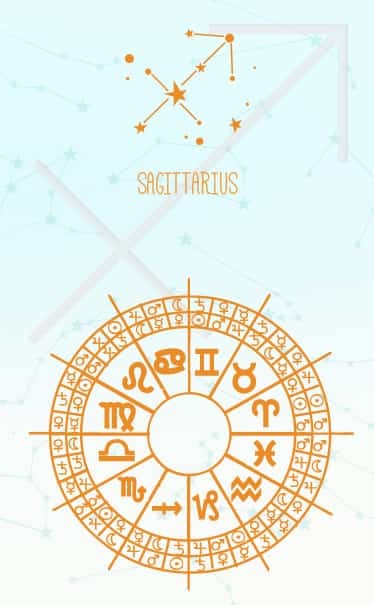 Knowing what is in store for you in the future can considerably reduce your insecurity, so check out Birth Chart based personalised service Detailed Life Predictions Report. The Sagittarius natives have a keen desire to discover the meaning of life, and therefore are very philosophical and religious. They are clear in their thoughts, and love it when others agree with their opinions. However, they can also be very argumentative, harsh, and inflexible. They are enthusiastic both as listeners and as talkers. They carefully listen to others’ opinions, especially to satisfy their desire to gain more knowledge. The Archers also need to travel a lot, and love to explore the world. If they feel that their freedom is being curtailed, they simply lose their patience and mess things up. If it is some aspect related to your love life that is causing problems, try the 100% personalised Natal Chart based service Love Ask 3 Questions. When a person is born between November 23 and December 2, their planetary ruler is Jupiter. These people are honest and frank. They have a good sense of humour. The person would be large-hearted. They are also adventurous, optimistic and blunt. The Sagittarius-born is the boldest of all the Zodiac Signs. They spread joy and laughter wherever they go. However, being too frank or blunt often lands them in trouble, so they need to learn to be more tactful. Their honesty is largely appreciated by people who know them well. To know about your future prospects, avail the totally personalised Birth Chart based service Life Prediction – Overview. 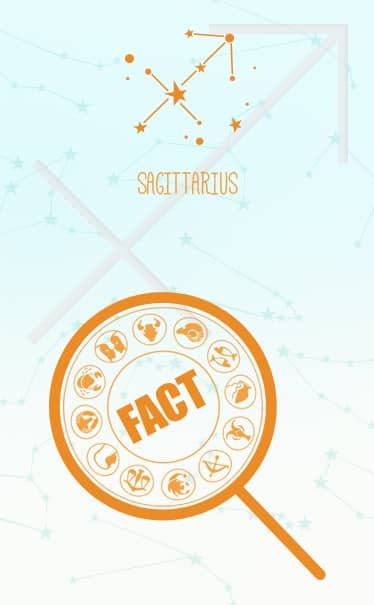 The natives of the Zodiac Sign Sagittarius, the ninth Sign of the Zodiac, are renowned for seeking and saying the truth, and nothing but the truth. They are represented symbolically by a man with a bow and arrow, who is half human and half horse. This is why they are also referred to as the Archers. Knowledge, action and a broad-minded attitude defines them. They also have a great sense of humour. Get your Astro Profile for FREE! They love to enjoy life. At a party, you will see them arrive before anyone else and leave after everyone. They are keen to learn new things, which is why they love to experiment a lot. So their knowledge is mostly first-hand, not bookish. People born with the moon in Sagittarius are usually very positive people. They love their freedom, and cannot stay cooped up indoors. Their outlook towards life is happy-go-lucky. They are very strong and active and indulge in activities which require physical efforts such as sports. They love to travel and meet new people, and learn about new cultures. They are most cheerful in open spaces. Even when faced with tough situations, these people are spirited in their approach, and hardly ever become negative. These people tend to be natural athletes. They get bored too soon when put in a particular routine, and always need change to push them forward. People with the moon in Sagittarius crave power and status. They can have a dual personality, and can act independent and irresponsible at the same time. This also causes them to become temperamental. They can be too impulsive and don’t look before they leap. Also, they have a philosophical streak in them, and the best way to keep up with them is to let them be themselves without nagging them too much. 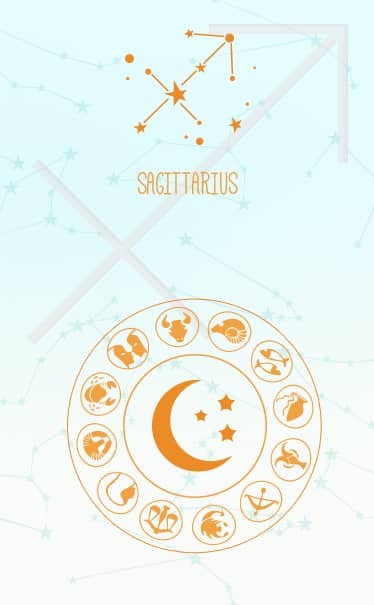 If you have a Sagittarius mate and wish to know more about him/her, try the Birth Chart based product Personal Ask A Question – Detailed Advice OR Personal Ask 3 questions. The Sagittarius-born natives are mostly strong, and especially in the early part of their lives, normally they don’t have any health issues. But they are prone to over-indulgence, which can lead to problems in their liver. Their hips, thighs, stomach and feet are also susceptible. They should avoid drinking too much, or having a heavy diet. If they can maintain a good lifestyle, they can avoid blood pressure problems or disorders of the liver. They may also experience some problems of sciatica or torn ligament in the thighs. They should drive carefully to avoid accidents.